Screendance / choreo-cinema is a hybrid practice that seeks to develop a new syntax between the languages of movement, dance and audiovisual. Its main format is the single-channel short film, although it also tends to expand as installation. In recent years, this field has established itself as a platform for creation, production, promotion, theory and criticism for the crossings between the performing arts, movement, cinema, visual and sound arts. At the international level, screendance has been part of the university curriculum for two decades. Nowadays, dozens of screendance festivals exist around the 5 continents, generating and promoting an extensive production of works, workshops, research and writing. In America, artists and audiences multiply every year, with annual festivals in Argentina, Bolivia, Brazil, Canada, Chile, Colombia, Cuba, Ecuador, the United States, Mexico, Paraguay and Uruguay. 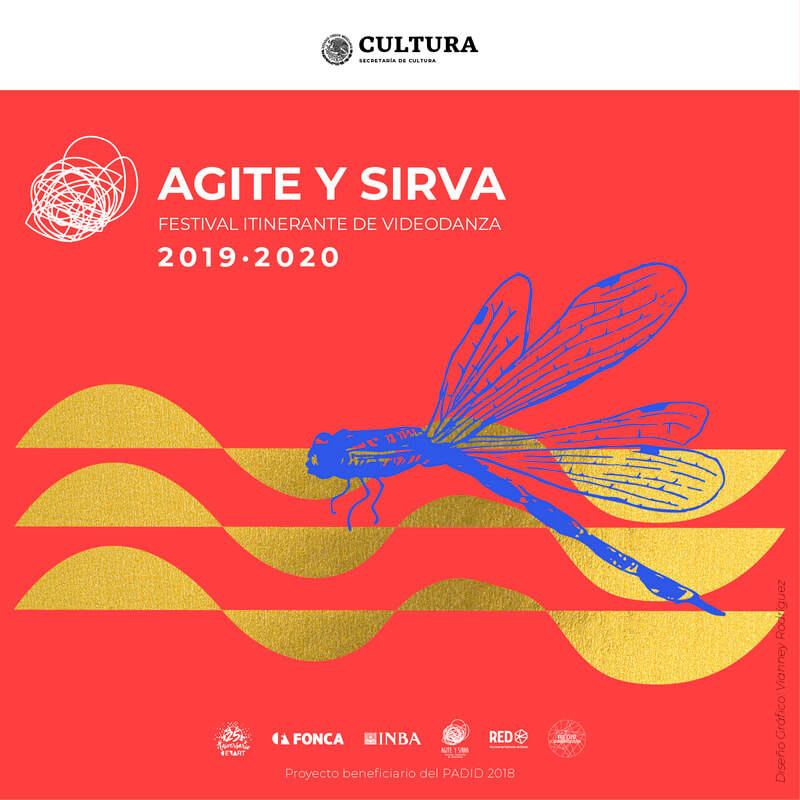 Teaser Agite y Sirva 10 Años from Festival Agite y Sirva on Vimeo.